We all know the perils of self-tanning - what starts off as glowing, bronzed skin can quickly turn into streaky and flaky by day three. 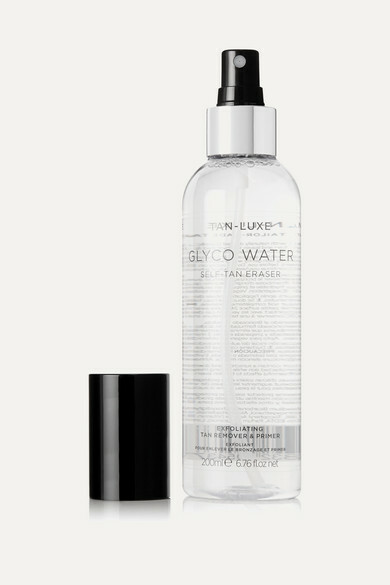 TAN-LUXE's 'Glyco Water' is developed to seamlessly erase your entire tan, so you can reapply without layering. This groundbreaking formula is blended with naturally derived Glycolic Acid, Vitamin C, Aloe Vera and Raspberry Seed Oil to effectively remove color while leaving the body hydrated and primed.